It’s been just five months since we reported Dunkin’ Donuts closing their Mid City Mall location followed by the report a month later that Heine Brothers would be taking the location. 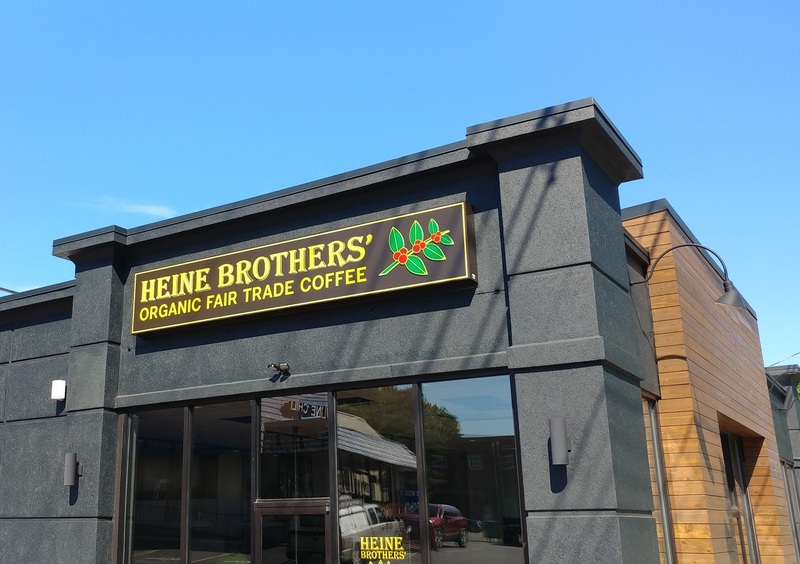 Now, locally owned chain Heine Brothers’ Coffee is ready to relocate its cafe at the corner of Bardstown Rd. and Longest Ave. to a larger building in front of Mid-City Mall at 1250 Bardstown Rd. Heine Brothers’ expects to close the old location on Thursday, May 31, at 11:00 AM. Pending a few final inspections, the new location will open for regular business hours on Friday, June 1 at 6:00 a.m.
Heine Brothers’ also hired up to six new baristas to staff the new, larger café, which will also include an easily accessible drive-thru.